You are AMAZING! I can hardly wait to see it blocked. This is some serious piece of work!!! Love you. I LOVE the shape of your block. You got the curves just right. You are truly a sculptor as well as a milliner. Brava!! Amazing work! 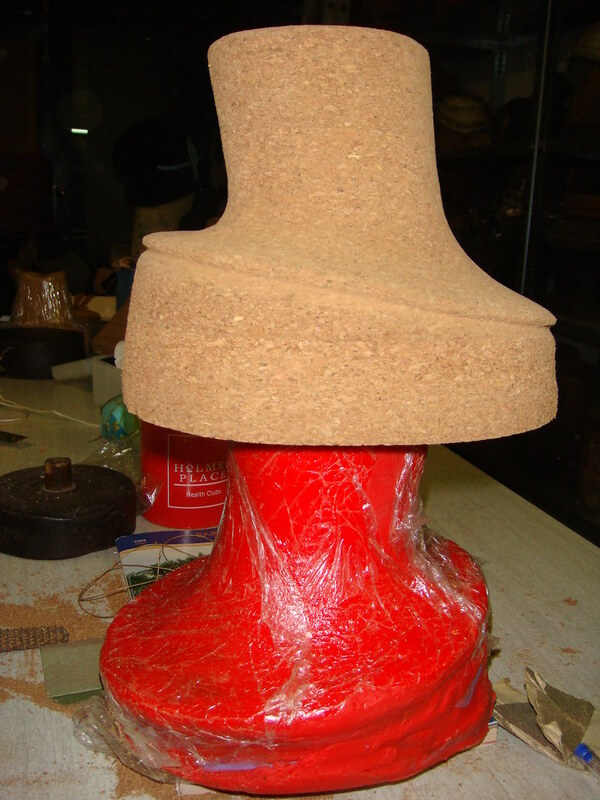 I never thought that cork could be sturdy enough to block a felt hat on it. You do fantastic projects! Gorgeous and very clever! 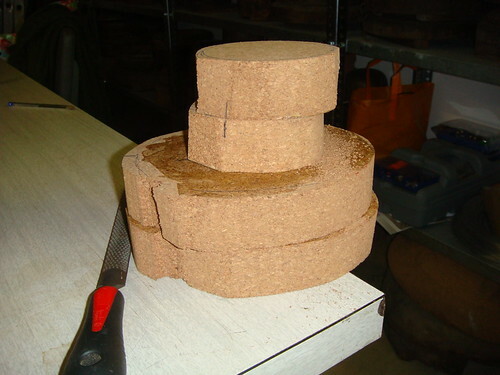 Where does one find 4″ thick cork? I live in Canada. New to your site, so excited to check back! The cork is 4 centimeter thick, not inches! We have a specialist shop in Barcelona, no idea where it can be bought in Canada, but if you find out please share it with us!